According to sofa.com, the average British person only swaps their sofa once every 10 years. So, as well as a new purchase being a practical and financial investment, it’s an emotional one too. 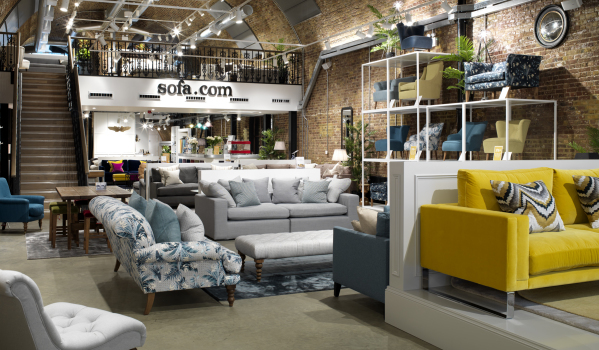 To make sure you get it right, we’ve asked the experts at sofa.com – an award-winning, upmarket furniture retailer with seven showrooms across the UK – for the key things to think about when changing the most important seat in your home. First things first. 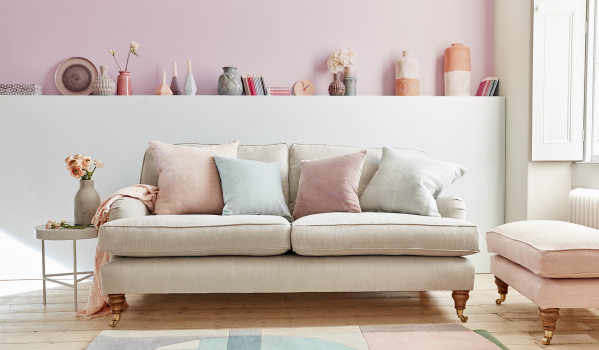 Before you fall head-over-heels in love with a sofa, you’ll need to know you can get it into your home. “We can’t stress the importance of access enough,” says sofa.com’s Maeve Byrne. “Think about all door lengths and widths – not forgetting door frames – as well as any tight turns in hallways and staircases. Now is also the time to check whether the body of the sofa comes apart and can be reassembled in situ, as well as whether the legs are removable. You’ll need to make sure the largest sections of the sofa can be manoeuvred into your home. Finally, if your plan is to get the sofa through a large window, bear in mind this will be your responsibility. Delivery firms are likely to refuse as they won’t be covered by insurance. There’s nothing worse than finally getting your sofa into your new home and then realising it doesn’t fit the space. “Depth tends to be the most underestimated dimension,” says Byrne. To fully appreciate the size of your sofa and ensure it will fit proportionately to the room, map out its dimensions on the floor with masking tape or newspaper first. While the shape of sofa comes down to personal preference, there are some practicalities to consider too. “If the sofa is for a kitchen-living area, go for something with a low frame height to reflect the sense of space,” says Byrne. Byrne adds that modular sofas are a useful option for any space as they come in separate arrangeable units. “Just don’t fall into the trap of buying more pieces than you need,” she warned. Traditionally, sofas are positioned flush against a wall – but time has seen this trend shift, particularly in the case of more style-led designs. A sofa facing the main window or French doors will ensure a pleasant view. And, while iPads and laptops are used more than ever, a family gathering around the TV is still not an obsolete pastime, so bear this in mind when positioning your sofa. Fabric choice should, first and foremost, hinge on the purpose of the sofa. If it’s intended as an occasional showpiece, you can have fun with upholstering in delicate velvets and fabrics with natural fibres such as linen. 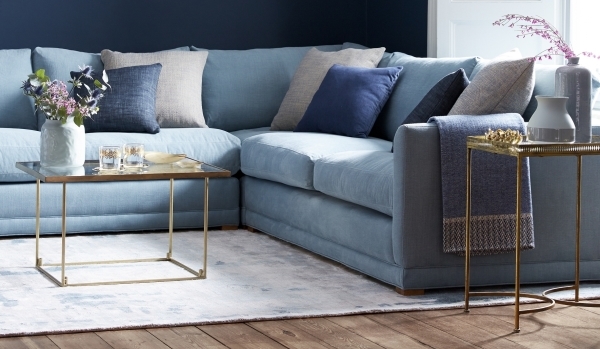 Alternatively, if you're looking for a sofa to be at the heart of your day-to-day home life and in constant use, you’ll benefit from a fabric that’s more durable. However, cheaper artificial fabrics are now improving, along with a range of Teflon-coated fabrics which are easy to wipe clean. Practicality should also be at the forefront of your mind when considering colour. 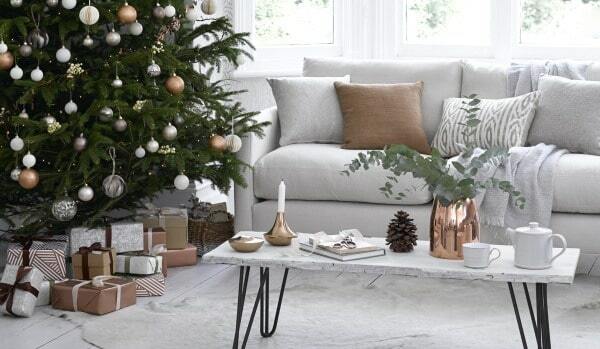 Beautiful white and cream hues are best-suited to more grown up spaces, as they are particularly susceptible to showing signs of everyday wear and tear. Darker beige or grey shades are a great alternative for those who love subtle and calming neutral colours, but you need to think about children and pets. They are also the perfect choice if you like to chop and change more colourful accessories, such as cushions and blankets. If you prefer to follow trends, then dark blue is the colour ‘du jour’, according to Byrne, while teal and darker yellows are also popular. Although, once in situ, your sofa shouldn’t move around much, you may want to get casters, protective felt, rubber pads or even a rug to protect wooden floors or thick-pile carpets. Most sofa manufacturers will offer an upfront free-of-charge guarantee. At sofa.com this lasts for 12 months for the fabric, and a lifetime for the frame (against manufacturing defaults). You can also opt to buy a separate 5-year fabric protection guarantee, which protects against damage and stains. It costs around £70 for a two-seater sofa. 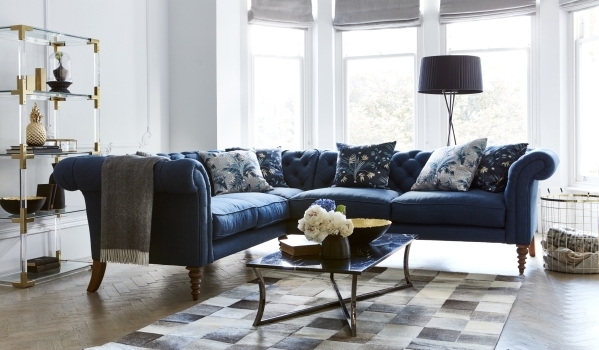 It’s also sensible to keep sofas upholstered in darker fabrics out of direct sunlight. If you’re not selling your old sofa or passing it along to someone, contact a charity such as the British Heart Foundation. They will collect used furniture that’s in good condition with the original fire retardant sticker intact. If your old sofa is really on its last legs, you can arrange for your local council to collect it on an allocated day for a nominal charge, usually between £20 and £30.